I am mostly a bedtime reader. However, there are rare little pieces of my day when I get the chance to read, sans homework and kiddo distractions. They are rare little gems of time, but I love them. When that happens, I like to sit in a quiet place with a mug of hot coffee (and maybe a cookie if I'm good) and just relax with my book. I avoid reading in my bed because that turns into a nap real quick. In our current home, my favorite place to read is our patio. It's big and sunny and quiet and has a view to die for. My own little heaven right there. Unfortunately, it's getting a little too cold out for patio-sitting, but I have been seen bundling up with hat & gloves just to read out there. It didn't last long though. 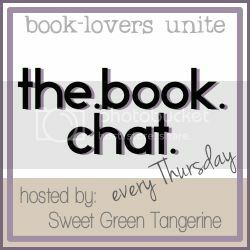 The second part of our book chat topic today is about book stores. The reason I asked this one was because I was able to see some amazing book stores in Paris. Paris is such a literary-loving city; you have no idea. I didn't know before going there either, but we passed a few, chain-like book stores and the people were going in/out in herds! We thought...what's this? Some big sale, or tourist trap? Nope. Just a book store. My favorite bookstore was obviously Shakespeare & Co., which I shared a bit about last week, but I wanted to take this opportunity to showcase some independent bookstores you might know of. They need and deserve as much as exposure as they can get. I love B&N as much as the next person, but I hate to see these little establishments go under. The little bookstore I want to share is one I found in Savannah, Georgia. It's called The Book Lady and it's awesome. It's a tiny little used bookstore downtown and it has to be breaking fire codes because you have to literally shimmy through. Books line the stairs and overflow the shelves. It smells like old books. 'nuff said. If you are ever in or around Savannah, stop in The Book Lady after lunch at the Soho South Cafe (right down the street). In fact, if you plan a trip to Savannah, let me know and I'll write out your itinerary for you. Where is your favorite place to read? and/or Share your favorite book store with us! Next week's topic: E-books v. Print books! I'm sad I never saw that book store when I was in Savannah :( and I definitely want to go to Shakespeare and Co. Your patio looks lovely and a perfect reading spot. I second reading at bedtime, the best way to fall asleep. Oh that spot looks amazing. :) Very relaxing. Your patio looks like such an awesome reading spot!